It’s difficult to believe it happens, but forced guardianship fraud runs unchecked throughout the nation’s probate courts. Deemed incapacitated by the courts, elderly citizens are robbed of all decision-making rights and assigned professional guardians whose only interest lies in profiting from their vulnerable charges’ estates. 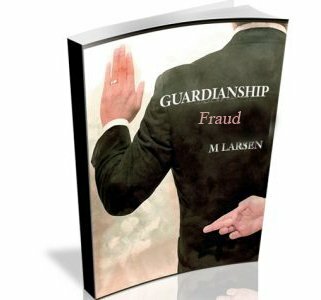 Guardianship: How Judges and Lawyers Steal Your Money exposes a web of murderous profiteering, all sanctioned by a corrupt legal system. As guardians take everything they can, judges and attorneys turn a blind eye. Crooked cops harass family members into silence, while the very attorneys you hired won’t help for fear of losing their licenses. These are the people who may one day control your loved one’s health care, living arrangements, finances, and very life. 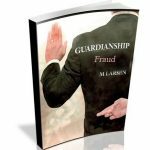 Ostensibly created to prevent financial abuse by caregivers and family members, professional guardianship instead gave the legal system carte blanche to destroy lives—as author Michael Larsen discovered when family members tried to help a friend suffering under a corrupt guardian, attorney, and commissioner. Here is a guide for families to better understand a corrupt system, delineating what happens when a loved one falls victim to professional guardians, and offering suggestions to minimize your risk of what amounts to legally sanctioned abuse. I was in shock when I read in Michael Larson’s book about a daughter who had a bench warrant issued against her for simply trying to save her father from an abusive guardianship. The lady’s father was a veteran of World War II. He moved to Nevada to simply retire with his wife and enjoy the warm weather. The reason this story from guardianship how Judges and Lawyers Steal your money attracted my attention is because I’ve got that same bench warrant against me issued by a family court in Billings, Mt. My father lived in Montana and when my mother died he was lost. I live in Idaho Falls, ID and our children all have grown and left the nest. The family court judge in Billings was rude and condescending. It turned out that the guardian was a cousin of the judge. I could do nothing about my situation. I was told if I went public with what happened to me I would be sued for defamation. In the guardianship book I read about many cases, which faced the same conclusion. Some of the names of the victims had to be changed to avoid legal fallout. Michael I’m glad you exposed this serious problem going in our court system. 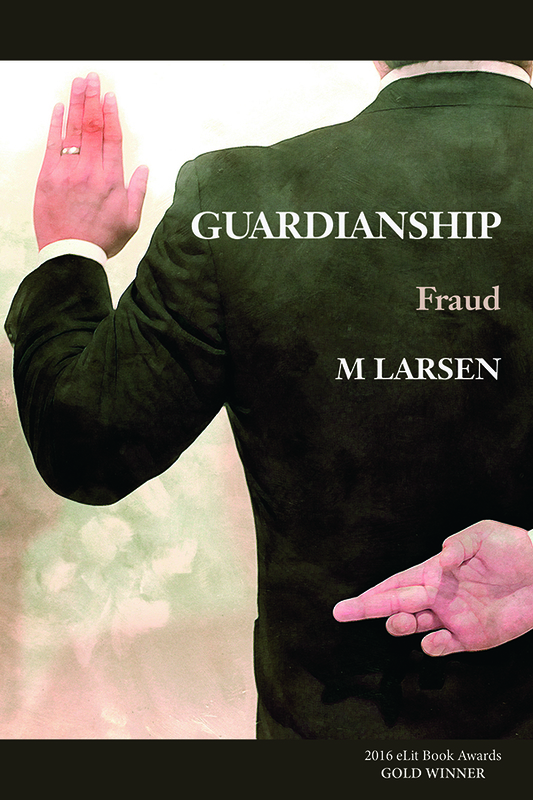 I’ve read Michael Larson’s book about guardianship concerning how judges and lawyers steal your money. My wife Heidi Pascal experienced total theft of her parents estate by a private guardian who constantly bragged about his ability to break the law. This guardian whose story is in the book is now under investigation. Michael’s book was a comfort to us because we were made to understand that we were not the only victims of this horrible theft. I would rate this book a must read for someone who has a relative or friend under a guardianship.